With the recent release of WD’s long-awaited 4TB ‘Red’ model, folks looking to fill their networked-storage box up with the largest density drives now find themselves with two options to ponder. Join us as we establish which drive comes out the victor – WD’s Red or Seagate’s NAS HDD – after their head-to-head battle. Despite being first to market with a NAS-targeted hard drive, WD has proven itself to be the late one on offering a 4TB model – Seagate beat it to the punch just a couple of months earlier. It was a little baffling that WD didn’t offer the top-density model sooner, but there’s nothing like a little competitive prodding to get the ball rolling, right? When Seagate released its NAS HDD series a couple of months ago, it had a verbatim list of goals against WD’s Red NAS line. Typical error correction is stripped in order to let a RAID controller do its thing, and it’s also designed with a couple of other properties perfect for NAS use. 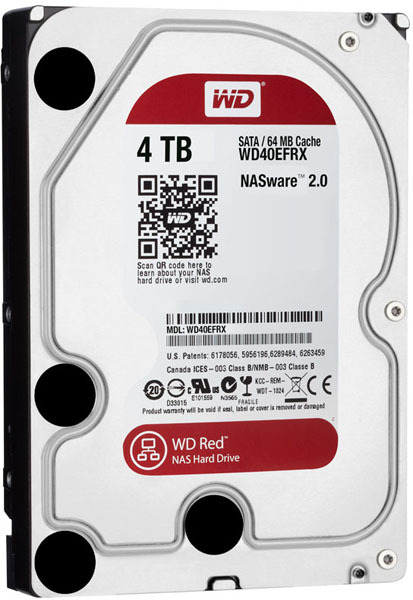 If you’re in the market for drives to fill a NAS up with, it’s highly encouraged to choose a model that’s designed with NAS use in mind, such as WD’s Red. Likewise, it’s not recommended to use such drives in the desktop, although you can probably get by just fine. It’s worth bearing in mind though that the things companies like WD or Seagate strip out of the NAS models were designed for desktop use – enough said. If interested in learning more about what WD’s Red series offers, I recommend checking out my look at the launch model from last fall. For contrast, you can check out my look at Seagate’s first NAS HDD from August. Since we took a look at WD’s Se series back in May, pricing across its entire lineup hasn’t changed much at all. 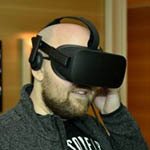 At the top-end, the VelociRaptor retains its $230 pricing; the biggest overall change hit the Se series, which now sits at $275 for the 4TB model (now dropped in price). Not long after WD announced its 4TB Red, it quietly released a Green counterpart, which at the current time is about $20 cheaper. As mentioned above, it’s important (in my opinion) to go for a NAS model if that’s the target usage scenario; otherwise, the Green model will be just fine for desktop use. While it might seem unfortunate to have to shell out an extra $20 for a NAS-specific model, note the subtle perk: A 3-year warranty. That strikes me as important when talking about a drive that’s going to be getting a lot of constant use. How does pricing stand if we compare to Seagate’s current NAS HDD line? Pricing information courtesy of Amazon and Newegg (11/12/13) . Best (stable) prices selected only. Hard drive pricing can vary wildly depending on the day, the etailer, and of course, your orientation to the moon, so if planning to buy a drive based on price alone, always check out different etailers before pulling the trigger. As of the latest check though, $200 is the average price for either Seagate’s or WD’s 4TB NAS model. Perfect. Let’s get to testing. Please note: Unlike most of the drives we’ve tested up to this point, we tested both the WD Red 4TB and Seagate NAS HDD 4TB with just 2GB of RAM installed in the test PC. We did this because we were inspired by our NAS testing, which requires the same change to be made. When dropping down to 2GB of RAM, we can see the true performance of a drive, and not the RAM-accelerated version of it. After seeing the results, we regret not having tested that way all along, so we’ll be retesting key drives when time allows to get more accurate results for them.